The entire 45th floor has hit the market. A view of The Atelier in New York City. The full floor, with 11-foot ceilings, offers a 360-degree view and (obviously) can be "arranged with many different possible floorplans." From the home, you can see the Empire State building, Central Park, Statue of Liberty, and direct river views, all seen through stunning floor-to-ceiling windows. 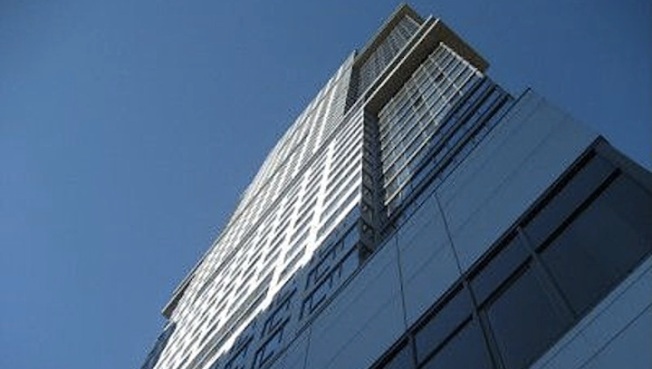 There are 40 units available in the building that all together cost less than the price of the 45th floor. Just twenty floors lower, a 6,000-square-foot space is asking $15 million. The apartment features stainless steel Bosch appliances, white oak flooring, granite countertops in the kitchen, marble bathrooms, a washer and dryer, walk-in closets and white oak and glass pantries. The building amenities include 24-hour concierge/valet, a tennis court, golf driving range, pool, multimedia lounge and billiards room, state-of-the-art fitness studio and yoga/pilates studio, fully landscaped terrace and sundeck, BBQ grills, Bocce ball court, basketball courts, free wireless Internet, free daily breakfasts and a crosstown shuttle bus.